When Will Home Prices in South Bay Stabilize? When will Home Prices stabilize in Silicon Valley's South Bay? heading by end of 2018? 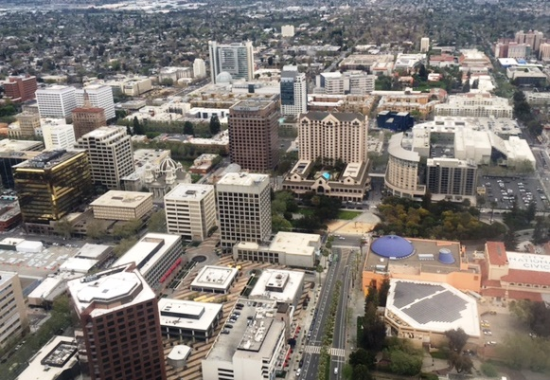 Santa Clara County is well on its way to a full housing recovery. Residential construction is booming and buyers' incomes continue to rise at a much quicker pace than the rest of the state. However, the region’s high cost of living, reflected in steeply rising home prices, continues to be a drag on demand reducing home sales volume and turnover rates. Home sales volume is more of the same each year, now headed into its eighth year of stagnation. In 2017 again, sales volume grew modestly due to the fact that home prices rose faster than incomes. The recent hike in mortgage rates may reduce even further the purchasing power of some Santa Clara residents but they will still be able to buy at a lower price. However, the area’s solid jobs recovery ensures new residents continue to pour in at a rapid rate. As a result, Santa Clara’s population grew at a higher rate than the statewide growth. This pace of growth will help churn Santa Clara County’s turnover rate, first as increased renter turnover followed by a rise in homeowner turnover. Santa Clara County also passed the milestone of its pre-recession employment peak in early 2013 and has now reached the stage of a full recovery, the bulk of the new jobs being created to support the tech industry. Construction is also improving in Santa Clara County. Single family residential (SFR) and multi-family starts both increased in 2017. However, it is still insufficient to keep up with demand from the growing population. As of now, Santa Clara County’s high cost of living makes it more cost-effective to reside in a multi-family dwelling with communal amenities as opposed to a large suburban SFR. SFR and multi-family starts will likely hit their peak following Generation Y’s entrance into the housing market in 2019-2021. This will be helped along by the new affordable housing legislation passed in 2018 which is intended to combat the growing housing shortage by fostering more construction. At the end of the day, the burning question for both potential buyers and sellers is: When should we expect home prices to reach a new plateau? It may come sooner than expected, potentially by the end of the year, since it might take time for new potential buyers to accept that 28% increase in home prices since last year is currently the new standard.